Conceptual analysis has fallen out of favor in political philosophy. The influence of figures like John Rawls and Ronald Dworkin has led political philosophy to focus on questions about what should be done, and to ignore questions about the usage of words. 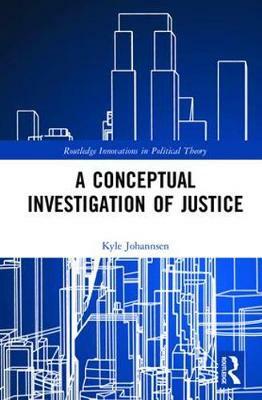 In this book, Kyle Johannsen calls for renewed attention to the manner in which the word `justice' is and should be used. Focusing on the late work of G.A. Cohen, Johannsen argues that debates over both the content and scope of egalitarian justice are, to a large extent, really just conceptual. Whereas some philosophers have been using the term `justice' to refer to one among a plurality of values, others have been using it to refer to institutional rightness. Though the latter use of `justice' is presently more dominant, he argues that much is to be gained from thinking of justice as one value among many. Doing so sheds light on the nature of both democracy and legitimacy, and, paradoxically, makes better sense of the idea that justice is `the first virtue of institutions'.